1st Run Thunderbird and 3 More Discs! We’re having a giveaway to celebrate the release of the Thunderbird! The stability of a TeeBird with the speed of a Valkyrie; it can be described as a seasoned Firebird with less fade. The Thunderbird is predictable in wind and a great long range placement driver. Five lucky winners will recive a 1st Run Champion Thunderbird, a GStar Thunderbird, an XT Aviar, and the all new GStar Katana. 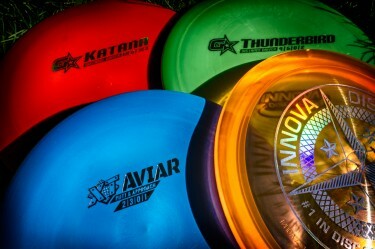 If you want to know more about the Thunderbird, check out the full review (and giveaway) from All Things Disc Golf! You get a nice combination of speed and glide with just a little bit of turn followed by a moderate fade. Champion Thunderbirds will show less turn and more fade while the GStar Thunderbirds will have a slightly straighter flight. Five (5) lucky fans will each win (1) 1st Run Thunderbird, (1) XT Aviar, (1) GStar Thunderbird and (1) GStar Katana. For your chance to win, use the widget below with your favorite social network (or all three) to enter. Entry into the contest ends on 9/19/2014 at 12:00am Pacific Time. This post will be updated with the winners on the morning of 9/19/2014. Good Luck Everyone! 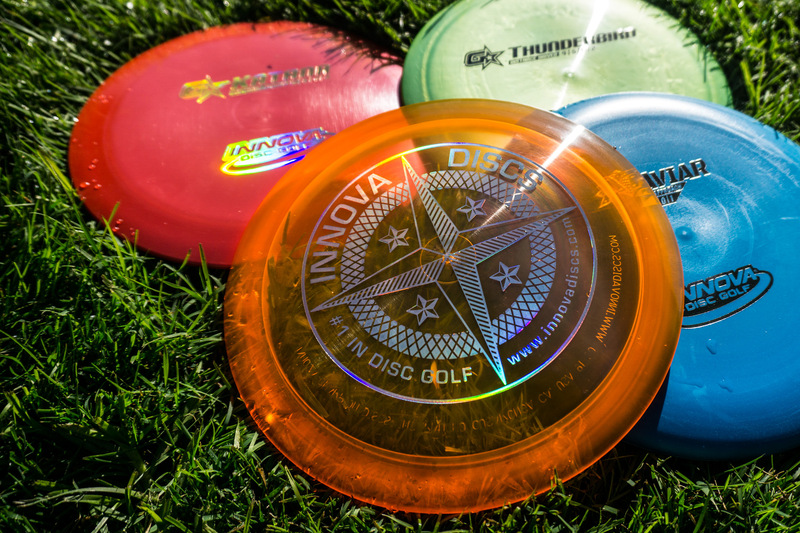 These models have just been released and are headed around the world to official Innova dealers. For exact delivery dates, contact your favorite retailer.